During the development of my electronic projects, I sometimes need to develop a graphical user interface (GUI) that talks using serial communication with the devices I create. In the past, I usually chose to develop those interfaces in C# and using the .Net Framework; framework which allows a rapid development, offers great ways to customize the interface (for example the ability to use custom fonts as in the GUI for RTCSetup) and makes easy to access all the different graphical elements of the operating system, like the systray (cfr the GUI for Type4Me). I asked myself how I could create a really cross-platform interface, that is an interface that can run also on Linux and Mac. You may consider to use a programming language that has a compiler/interpreter for almost all the operating systems, like Java (a solution for the .Net Framework could be the Mono project) or Phyton. Developing a GUI with those languages however requires the use of dedicated frameworks, sometimes made by third party developers. In addition, Sun/Oracle only defined the specification of the Java’s serial communication APIs (javax.comm); you therefore need to adopt an external library (the most famous one is RxTx) that implements those APIs . Today I’m going to describe you a way to develop cross-platform applications with the same techniques you use to develop web sites and without requiring external libraries: the Chrome Apps. Creating a Chrome App was for example the choice of the developing team of Cleanflight, one of the most famous firmware for multicopter’s flight control boards. 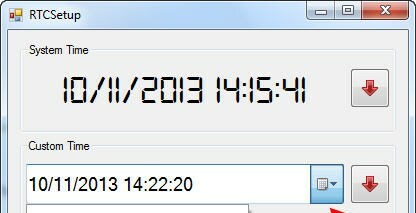 I prepared a demo app that “emulates” the Serial Monitor included in the Arduino IDE. The app is available on the chrome web store and it’s source code is hosted on my Github’s repository. Let’s see its code in details. I also used the jQuery library and its plugin jQuery.simplemodal to display the different message dialogs. In case of error, the sendInfo.error is not null and, in the example above, an error message is displayed. The function first checks if a valid data was received on the expected serial connection; if so converts the ArrayBuffer object to string and adds it to the textArea. 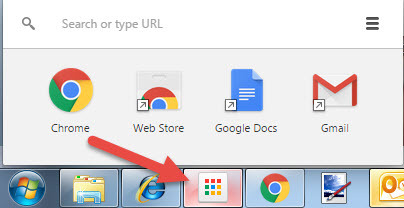 If you choose the folder that contains the app, this is loaded in Chrome and you can run it. If you want to distribute your application, you can create an installable package with the Pack extension… button or – alternatively – you can upload it on the chrome web store after having subscribed (for a small fee) the Chrome Developer program. In this tutorial I described how you can, using the Chrome Apps, easily develop real cross-platform applications. In this way, you can add a rich user interface to your electronic projects and it will run on Windows, Linux or MacOS (and with an experimental library also on Android and MacOS). What’s your choice when you need to develop a GUI for your projects? Let me know in the comments!